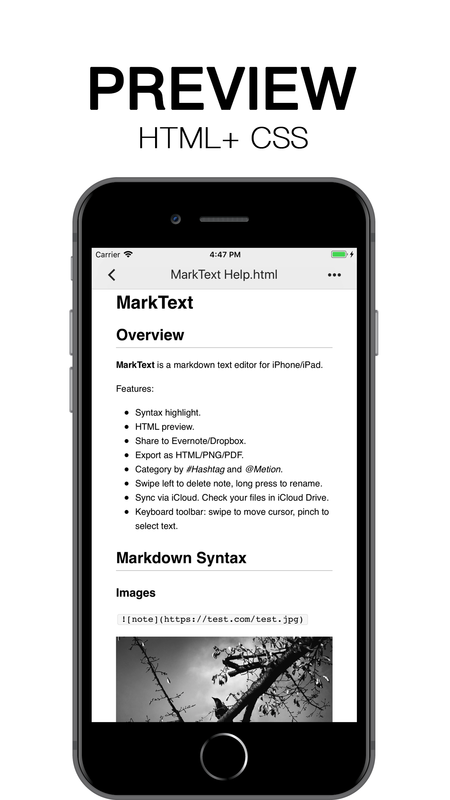 Beautiful, rich-featured Markdown editor for iPhone and iPad. 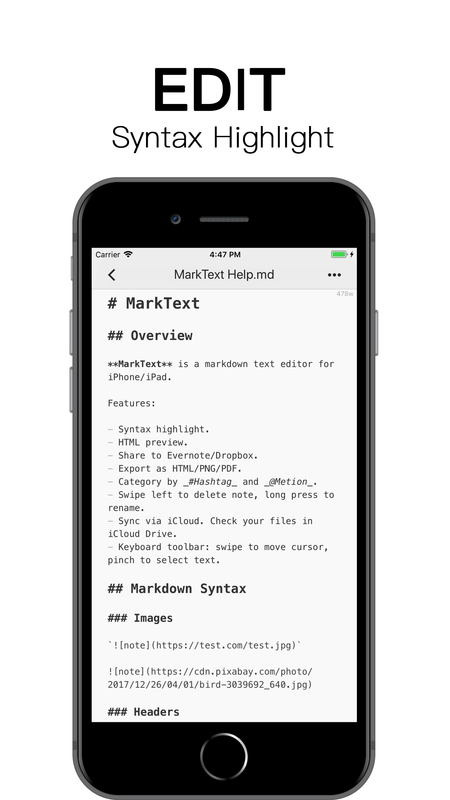 Real-time Markdown syntax highlighting with many themes. 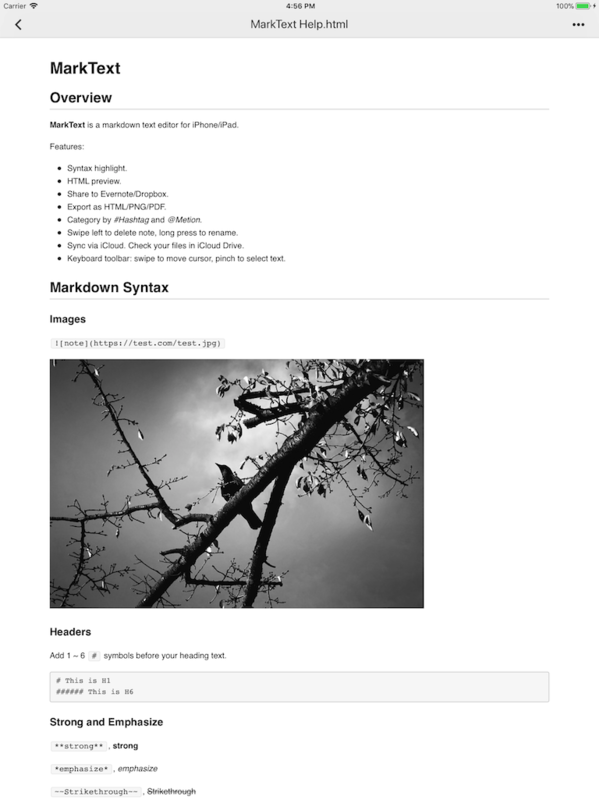 Preview HTML with CSS when you're done. Automatically store your documents in the iCloud Drive to keep them up-to-date across all your devices. 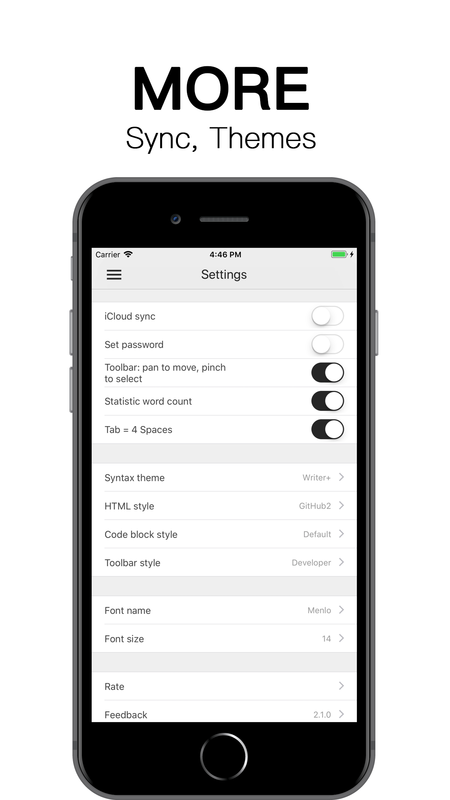 You can change the editor color theme, font size and html style sheet in Settings View. Your just need to pay once on single device. 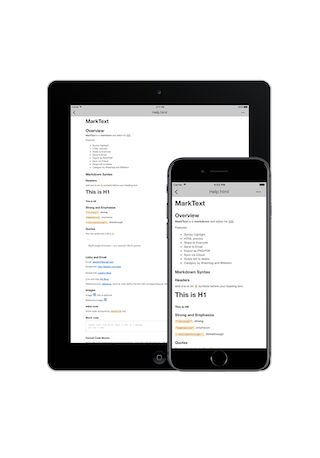 Keep your files up-to-date across all iOS devices via iCloud Drive. 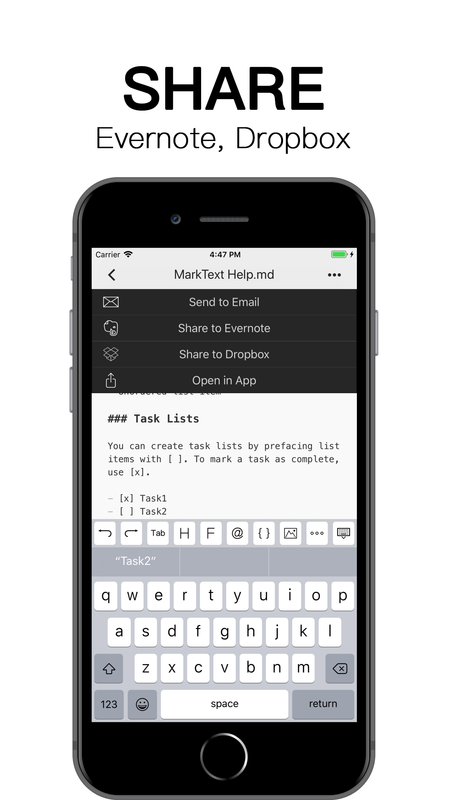 Share notes to Evernote, Dropbox, Email or other Apps. 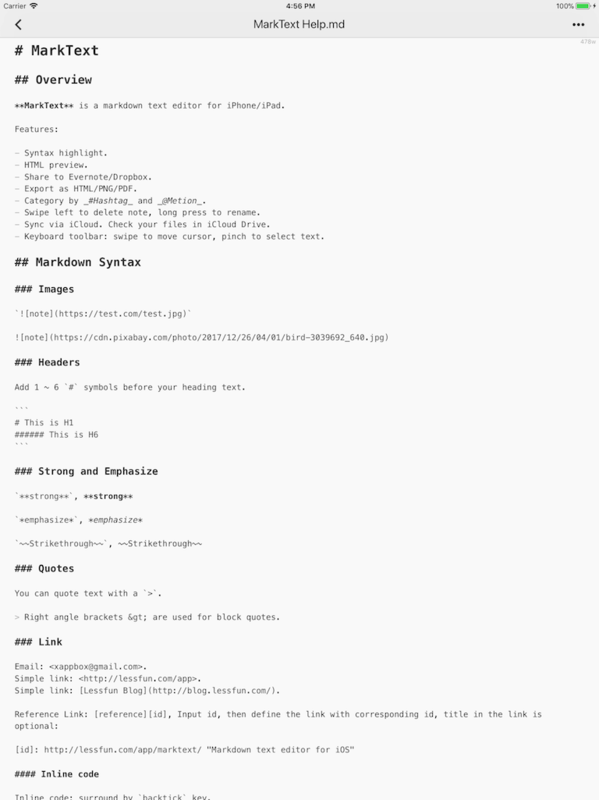 Try with different themes, CSS, and font sizes. 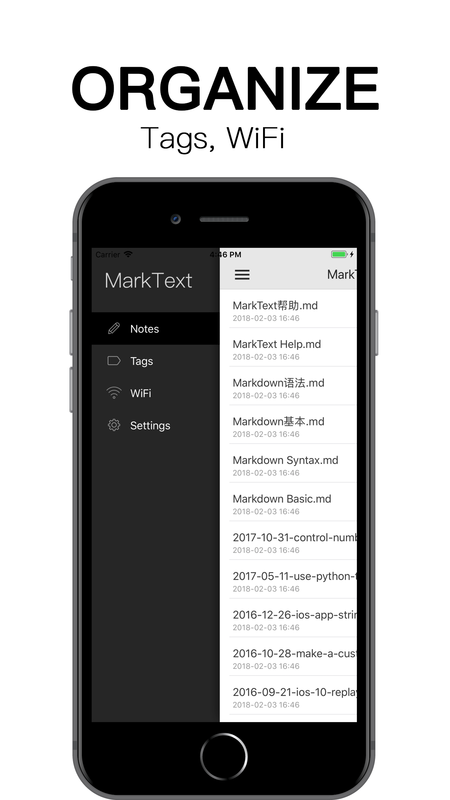 Todo lists are lists with items marked as either [ ] or [x].